Leila is an established and well-regarded junior who specialises in public, regulatory and common law. Leila’s experience covers both the enforcement and administrative aspects of public and Regulatory Law. Leila provides advice and assistance to both prosecution and defence on all aspects and stages of the regulatory enforcement process including: enforcement notices, the investigation, the decision to prosecute, PII and disclosure issues. Leila accepts instructions on all types of regulatory and public law matters, her practice is not limited to the above list. In this regard, Leila’s background of experience brings to any case the added advantage of first hand understanding of the wider statutory, public law and corporate issues which affect governance in a public law and regulatory arena. 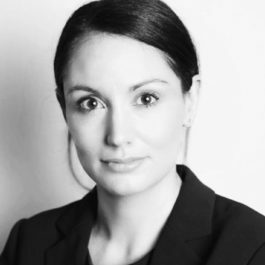 Prior to joining Lincoln House Chambers in 2012, Leila spent 9 years working in-house as a Local Government Lawyer within the Common Law Department of a Greater Manchester Local Authority. The work Leila undertook in this role was varied, complex, voluminous and covered the whole range of common law and statutory and corporate functions of a local authority in relation to a wide range of legal issues relevant to all departments and levels of seniority within local government. Leila regularly represented the Council conducting court proceedings on a wide range of civil, criminal and regulatory matters, in all manner of courts and tribunals. Since joining the independent Bar, Leila continues to enjoy instructions from many local authorities on all aspects of local government business. Leila also regularly deliver seminars and provide training to other legal professionals. These training courses are prepared and presented by Leila and have covered a variety of legal areas and issues. In particular she regularly provides such training to Local Government Officers on all stages of criminal investigations, disclosure and the preparation of a case for prosecution. In this regard Leila is accredited in Criminal Investigation Management by the University of Portsmouth.